Di's Scrapbook ShopJust-FabuliciouswithKirsty Kitchener : December Card Classes"A Garden of Blooms"
Hi there, thanks for calling by. Today I have the cards that we will be making in our December card classes. We thought we would put Chrissy cards behind us now as most of us are finished making those & that we would move onto something different. For this months theme I have gone with the whole "OVER THE TOP FLORAL" Perfect to give someone special. to hit our shelves recently. way, make sure you pop in & check them all out. Definitely "over the top floral". Very pretty summer garden. 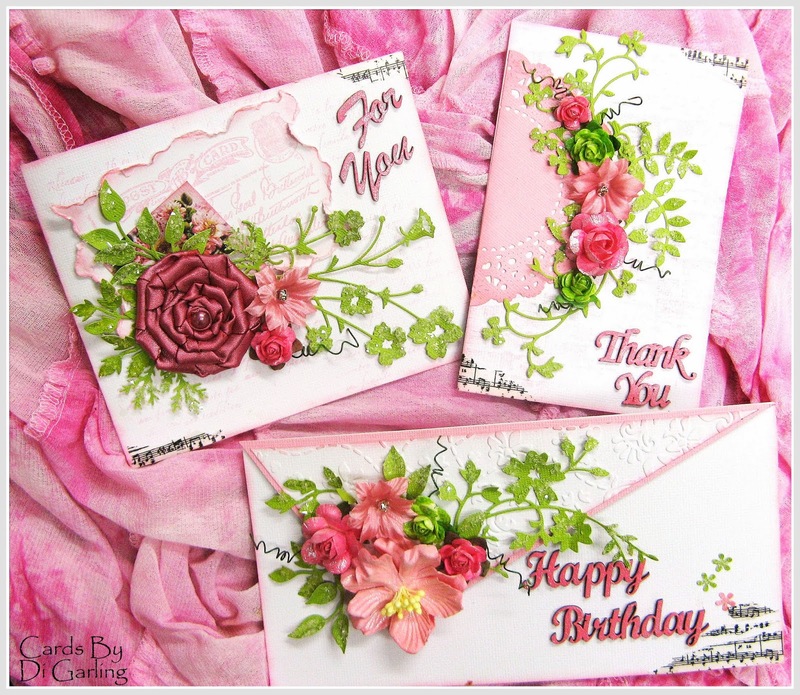 December Card Classes"A Garden of Blooms"